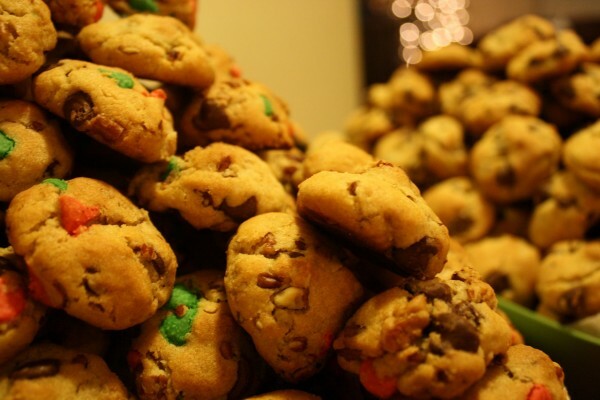 This year I introduced this awesome cookie to my Christmas cookie collection and it has become a new favorite to a bunch of the people I gifted them to. Because they’re more involved than all the other cookies in my Christmas collection, I photographed the steps and figured I’d share the recipe (click through the picture slideshow at the bottom). Enjoy! I find it’s best to make these dough’s the night before so they have time to firm up in the refrigerator. It’s not necessary, though. 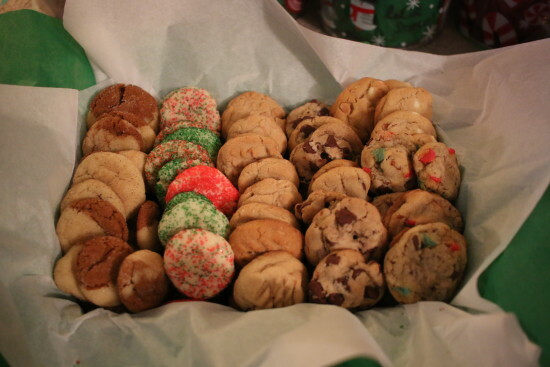 To start, set aside two bowls with the sugar and sugar/cinnamon mixtures in them for dipping the cookies in. Then, using a pizza cutter, slice 1-2” strips of each dough and press them together, pushing and squeezing until you have a long rope of dough. The dough’s will crumble if you try to roll them into this strip. 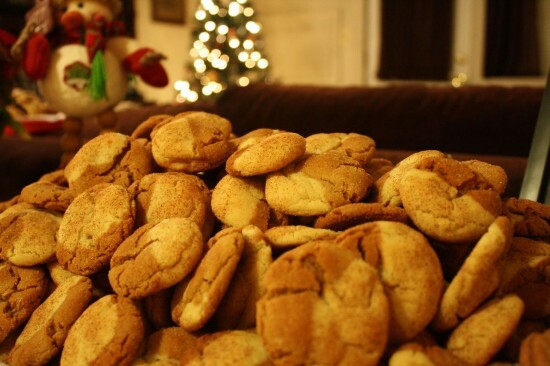 Once you’ve got all the dough rolled into balls, dip the ginger side into the sugar and the snickerdoodle side into the cinnamon sugar mixture. 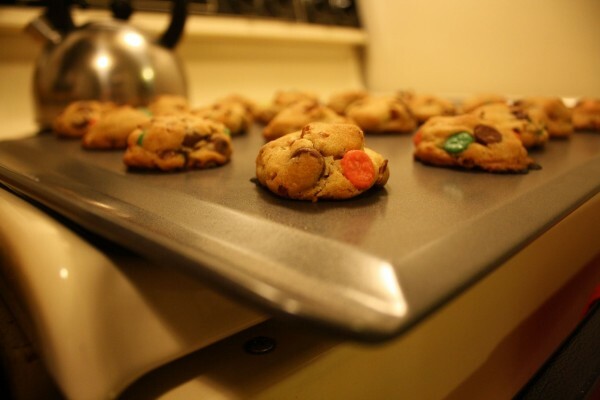 When placing them on the cookie sheet, position them so the split in color is turned upward if you want your cookies to have that half in half or ying yang look. Most people that know me know that I don’t cook. There are a few things I can cook, like a mean pot roast (in the crock pot) and killer macaroni & cheese (even with the barest ingredients), but generally cooking is not my forte. 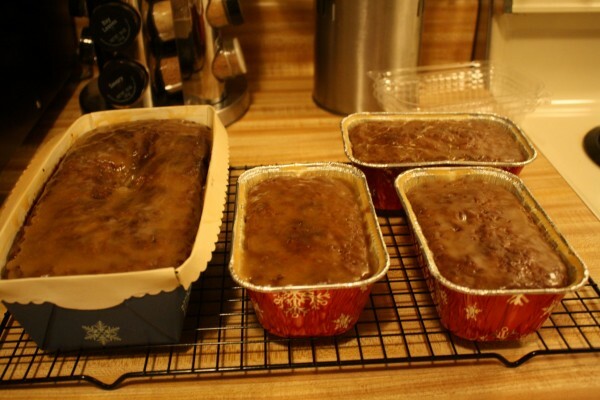 Baking, however, at Christmas is. 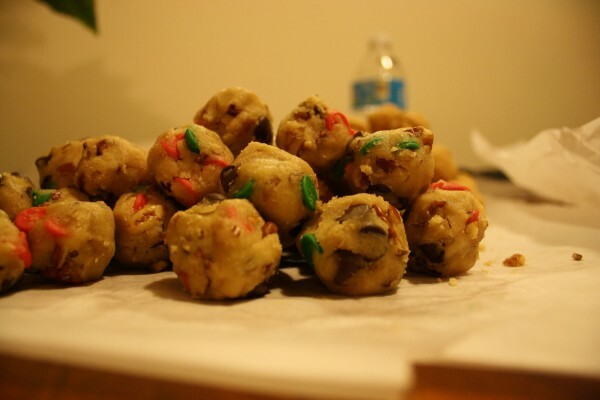 During Christmas Heath calls our kitchen a Keebler Elf Cookie Factory, me being the elf of course. 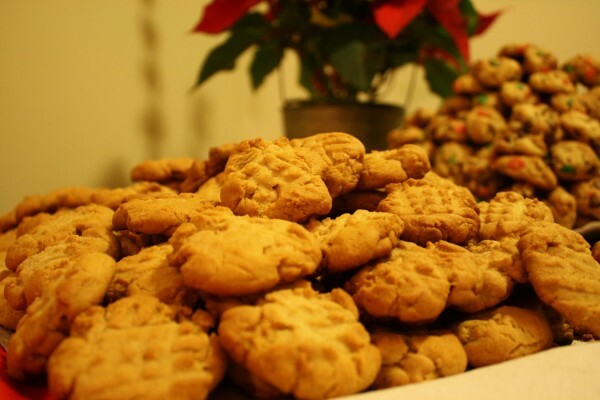 My recipe is my mothers, something she got from someone else when we were kids, but has baked every Christmas and my cookies turn out just as good as hers which means I must have paid attention at some point all those years ago when I helped her bake them at Christmas. 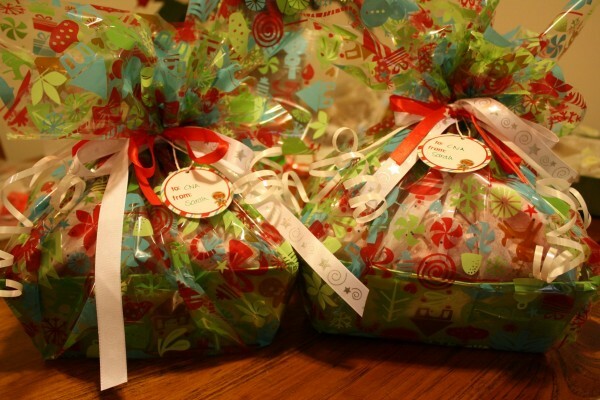 I give out cookies as gifts and usually the receivers of those cookies enjoy them greatly, but giving cookies as gifts requires making an obscene amount of cookies (thus the Keebler Elf Cookie Factory title). 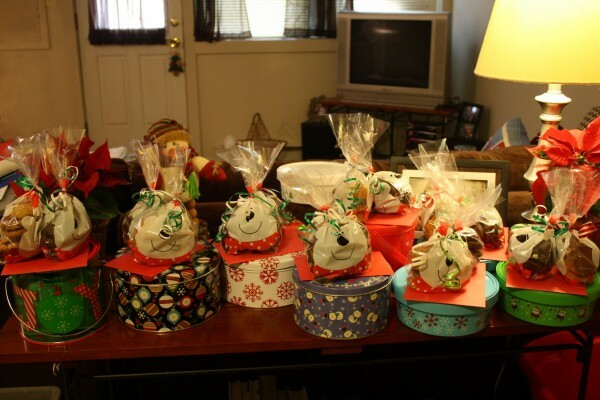 This year I baked my cookies in two batches (because it takes hours and this Christmas season has been crazy busy). 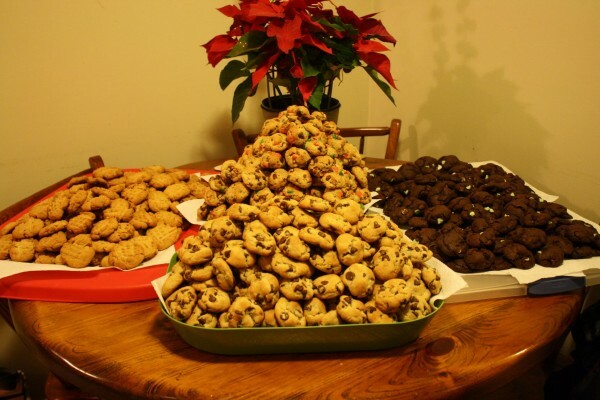 The first batch yielded 140 cookies – 68 chocolate chips and 72 chocolate chips with walnuts. 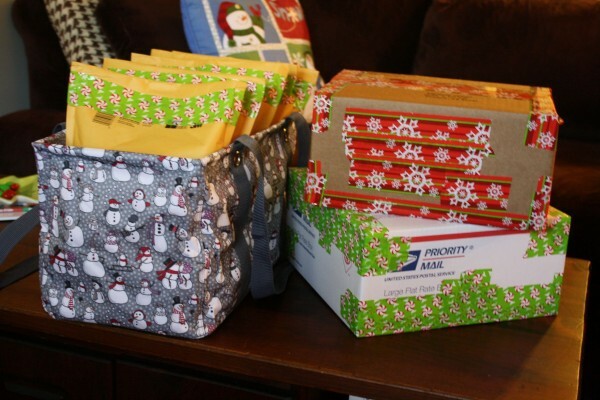 Most of these were sent out to friends in the mail and given to neighbors. 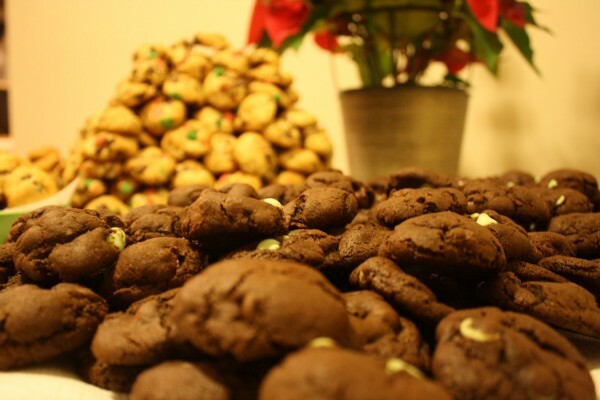 The second batch yielded 120 cookies – 55 chocolate chips and 65 chocolate chips with walnuts – all of which were divvied up for my work friends and family. Luckily, there were very few left over in the end so that I’m not left with a ton of something I find so absolutely yummy. I do always enjoy at least one warm one just to make sure they’re turning out alright, but I prefer to have none lingering around in the end and this year I planned it just right! 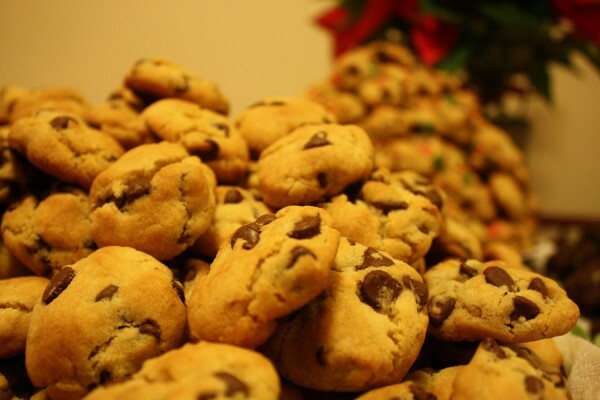 Do any of you bake for Christmas and if so, what do you bake?